Trunks are a great way to extend the learning experience of the High Desert Museum and bring it back to the classroom. 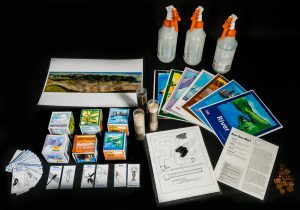 Using games and hands-on activities, this kit guides the students through the water cycle, watersheds, erosion and deposition. 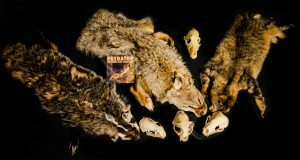 Use skulls and pelts to explore the adaptations of animals in the region. 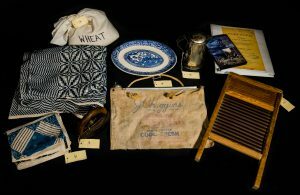 Through materials and artifacts, students explore the Oregon Trail. From helmets to safety barriers, animals inspire the design of safer equipment and materials. Using this kit, students investigate animal adaptations and create their own safety devices. 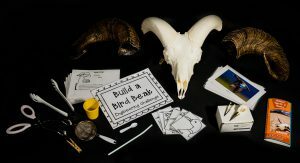 The kit includes five skulls and consumable materials.